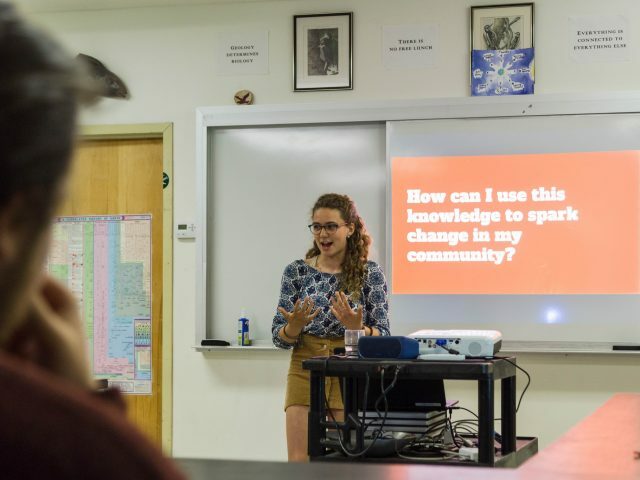 A transformational academic semester program for college-bound high school juniors. Discover an education that is more than book deep. 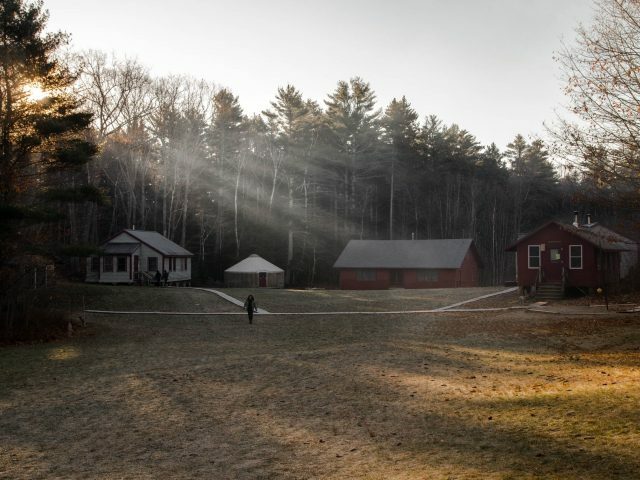 WHY COME TO MAINE COAST SEMESTER AT CHEWONKI? Most schools ask questions you can answer from a textbook. 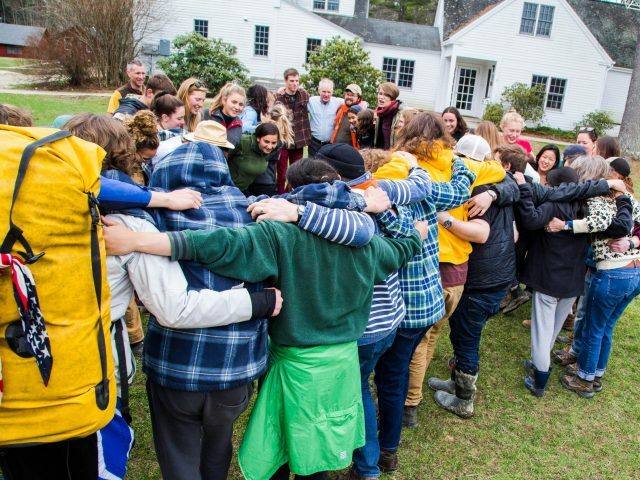 Maine Coast Semester at Chewonki asks the questions that really matter: Who are you? What do you want from your education? How will you engage with the world around you? How can you become a force for positive change? 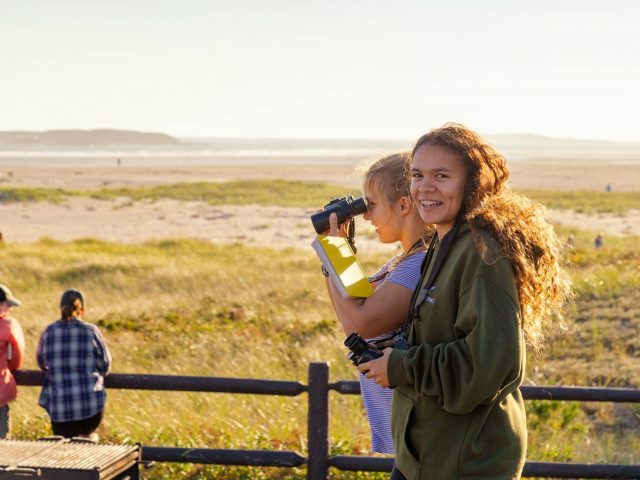 As a Maine Coast Semester student, you’ll have the time, teachers, and resources you need to seek answers to those questions—all while living in one of the world’s most spectacular natural settings. Our home on Chewonki Neck in midcoast Maine is a private 400-acre peninsula that includes rocky intertidal zones, boreal forests, freshwater ponds, and a horse-powered organic farm. 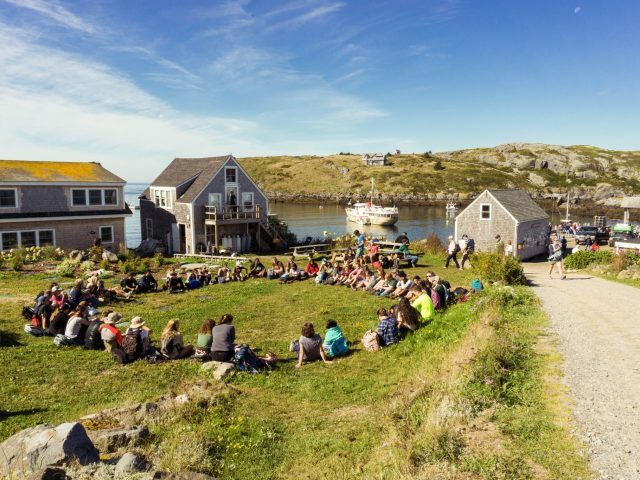 During your four months here, you’ll combine challenging academic coursework with hands-on practice in nature, learn how to live sustainably, and discover how you can help bring out the best in communities near and far. You’ll leave with new skills, confidence, and purpose—and the knowledge that you can make a difference. 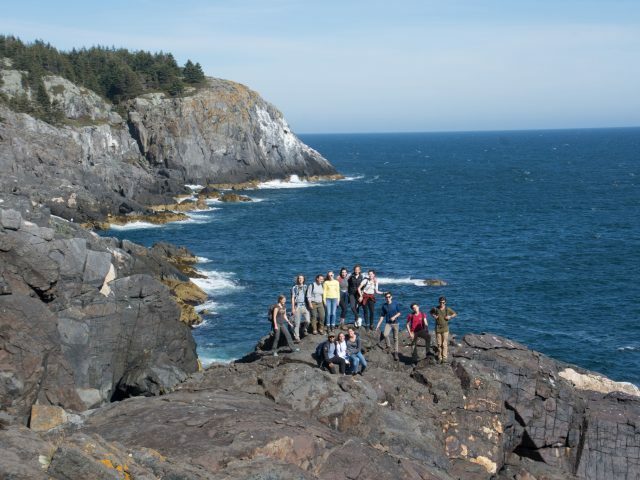 ACADEMICS: Maine Coast Semester classes will challenge and inspire you in ways you’ve never imagined. 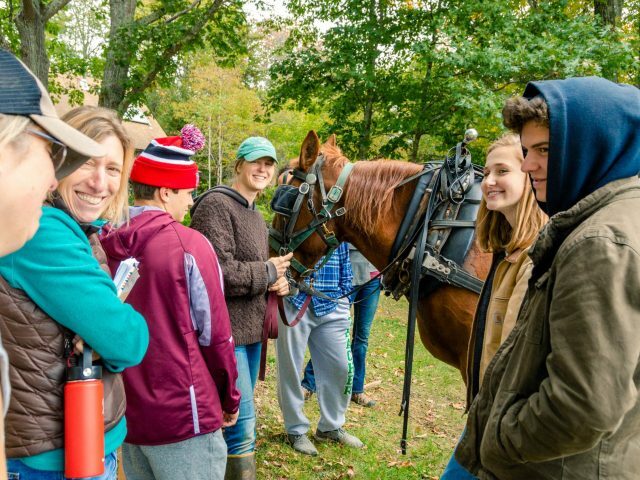 You’ll take five courses: Natural History of the Maine Coast (our signature field ecology course); Literature and the Land; and three other courses chosen from math (Algebra II through BC Calculus), world languages (French, Spanish, Mandarin or Latin), US History (Honors or A.P. ), Art and the Natural World, and Environmental Issues. Every subject is advanced; academic rigor is a given. From that baseline, we take learning to the next level. 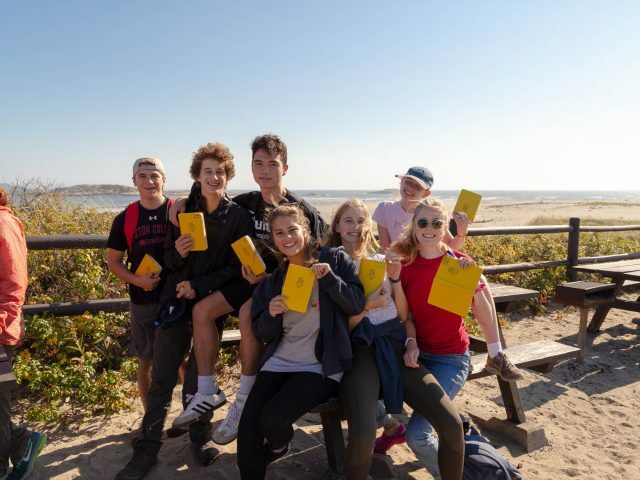 Using the natural world as your laboratory, you’ll break through classroom walls to apply what you’ve learned to real-life problems—like modeling tidal changes in Precalculus class or collecting ecological data on the health of the Maine Coast. 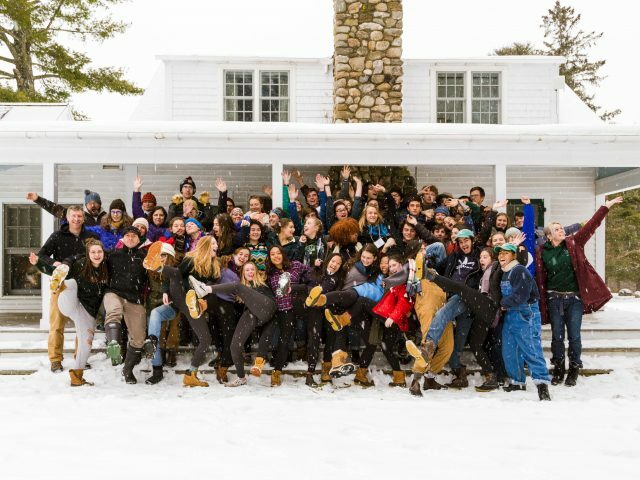 COMMUNITY: You’ll live and work with 42 other motivated peers and 16 faculty on our beautiful forested peninsula, Chewonki Neck. 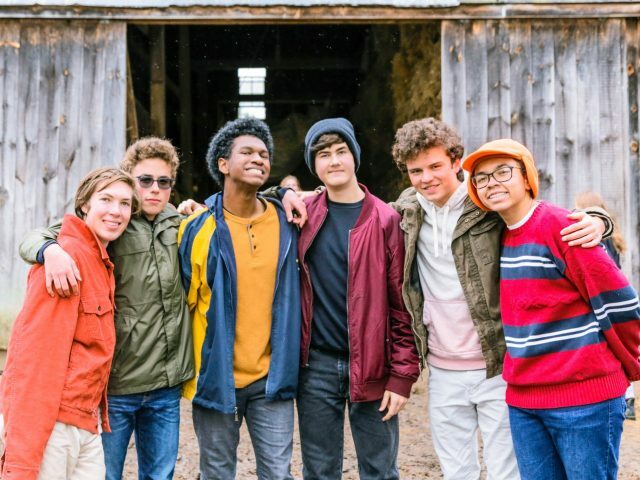 You’ll form lifelong friendships with your semester-mates, especially the 5-8 other students who share your cozy, wood-heated cabin. And you’ll gain a sense of pride and confidence from doing the real work that makes our tight-knit, community function. SUSTAINABILITY: Part of our mission is educating each other about how to best protect our earth now and for generations to come. 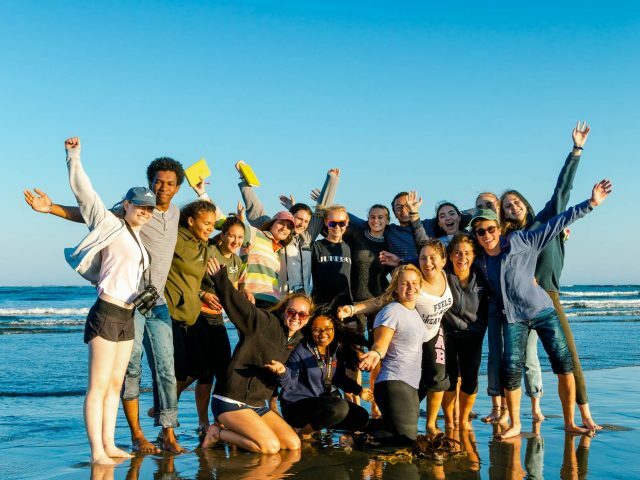 During your Maine Coast Semester, you will not only learn about sustainability, you’ll live it every day. 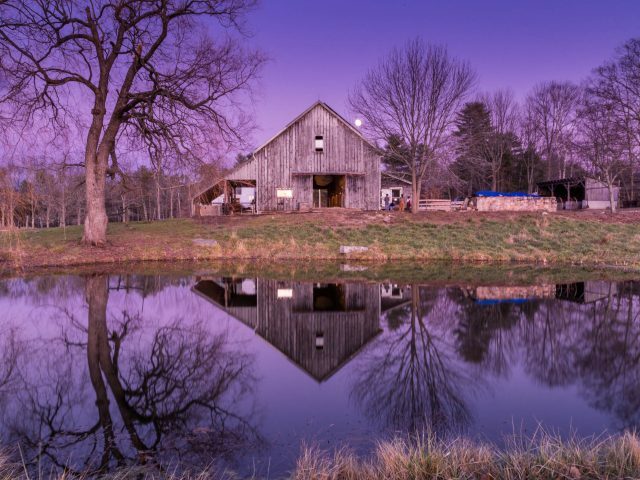 You’ll split wood to heat your cabin, install solar panels, harvest produce, turn compost, and care for the farm animals that work for and feed us. And you’ll join in lively discussions about how each of us impacts the natural environment and how we can be advocates for change. 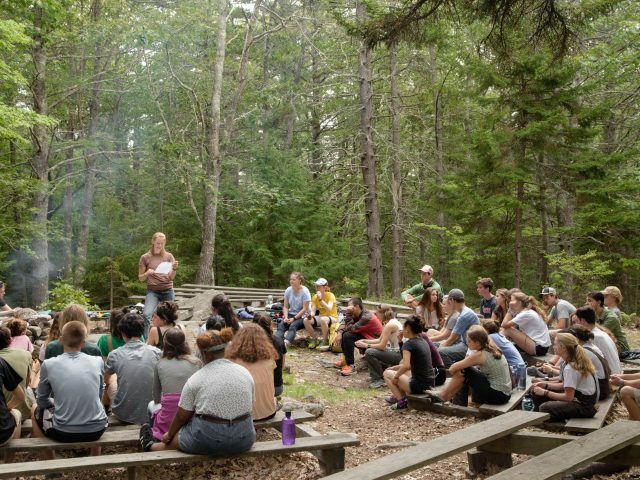 MAINE OUTDOORS: You’ll gain valuable outdoor leadership skills and have a blast while on a weeklong wilderness trip in one of Maine’s many natural areas. 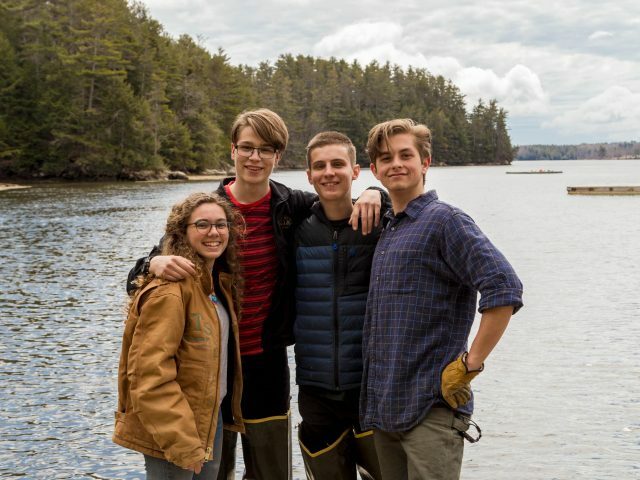 If you come for the fall semester, you will either canoe on one of the state’s pristine rivers, sea kayak along the rocky coastline of the Gulf of Maine, or backpack on the Appalachian Trail. 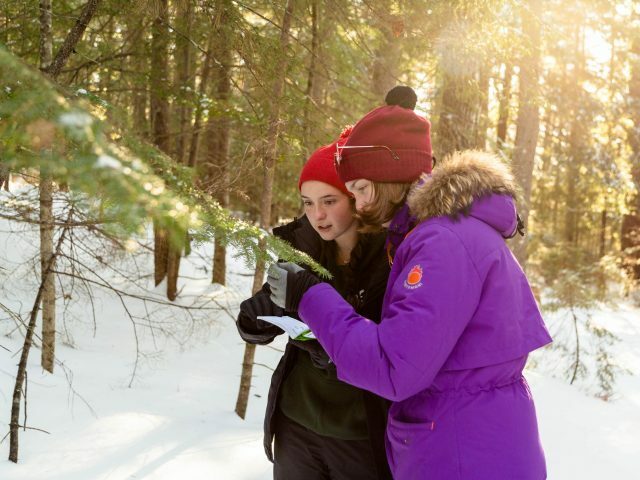 During the spring semester, you will either snowshoe or Nordic ski in the legendary North Woods. Don’t worry as we don’t assume any previous experience for these trips. 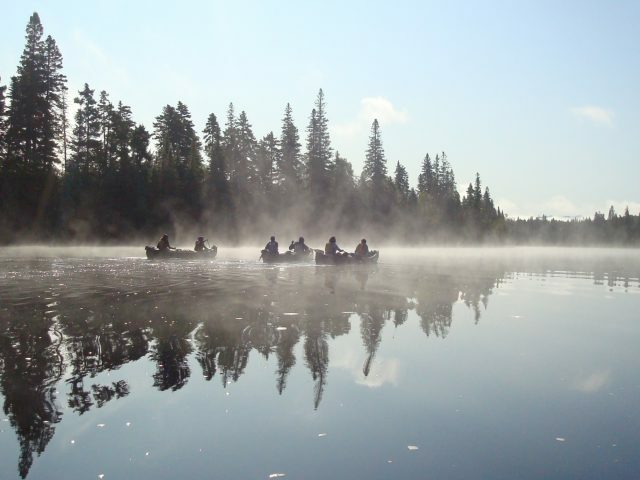 You’ll have many other chances to hone your outdoor skills including a three-day solo on our peninsula. All of our students take a wilderness first aid certification training through the Wilderness Medical Associates. For more information and to apply, please visit — Maine Coast Semester at Chewonki Web Site.